"Adding the element of impossibility only invites suspicion." Dorothy Blair and Evelyn Page were two American writers who met during their tenure, as editors, on the staff of a prominent publishing house and this meeting initiated a long, productive friendship which would bear the golden fruits of civilization – namely five detective novels written over "a short span of five years" during the Great Depression. 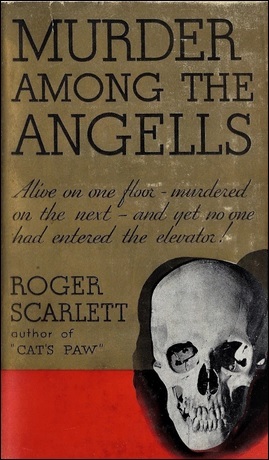 All five novels appeared under a shared pseudonym, "Roger Scarlett," and are helmed by their series-characters, Inspector Kane of the Boston Police. Until recently, the series was languishing in literary obscurity and secondhand copies tended to be as scarce as they were expensive. Some even came with triple digit price-tags! Coachwhip put an end to this intolerable, long-standing situation by republishing all five novels and our resident genre-historian, Curt Evans, wrote a lengthy introduction touching on the authors, their background and work – including how they became a victim of "the most glaring piece of plagiarism ever to exist." 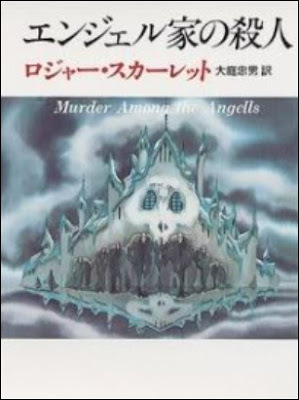 However, the most relevant part of Curt's introduction (for this blog-post) is the influence of Scarlett's Murder Among the Angells (1932) on the development of the Japanese detective story. In the West, Scarlett had been completely expunged from popular memory, but in Japan their work made an ever-lasting impression and influenced their yakata-mono (mansion story). An influence that can still be seen today. Edogawa Rampo, father of the Japanese mystery story, once recommended the Japanese edition of Murder Among the Angells to then very young Seishi Yokomizo, who wrote the superb Inugamike no ichizoku (The Inugami Clan, 1951), which inspired him to write (along side the writing of John Dickson Carr) to write Honjin satsujin jiken (The Murder in the Honjin, 1946). A locked room tale set in a mansion in rural Okayama and the narrator mentioned Murder Among the Angells in "his list of foreign locked room mysteries that might possibly have inspired the murderer." Rampo also recognized it as "the first novel of reasoning in the Anglo-American style in the world of Japanese detective fiction." So while practically forgotten in the West, Scarlett continued to have a measure of name recognition in Japan and a good example of this can be found in Ho-Ling Wong's 2011 review of Murder Among the Angells, which he read in Japanese. A translation that, at the time, could be "purchased at any store for 900 yen + tax." At the same time, the book over here was only available on the secondhand market and copies were prized between 100-300 dollars! Needless to say, that made me marginally envious of Ho-Ling, but all of that's in the past now as I was given four of the five Scarlett novels over Christmas. Coachwhip published those four books, The Beacon Hill Murders (1930), The Back Bay Murders (1930), Cat's Paw (1931) and Murder Among the Angell, as twofer volumes and reissued the last one, In the First Degree (1933), as a single volume – which will be absorbed into my TBR-pile at a later date. So I had to pick my first read from those four titles and, predictably, I went for the last one. What can I say? I'm an unoriginal hack. Murder Among the Angells takes place within the curious walls of an L-shaped mansion, located on Boston's Beacon Street, which has been divided in two idenitical halves and the two sections are only connected by an elevator. The two halves are occupied by two elderly brothers, Carolus and Darius, who live their with their children, in-laws and servants, but a pale hangs over the household. Their father was obsessed with good health and his eccentric will placed an ever-widening wedge between his sons. He wanted his encourage his sons to live a clean, healthy life by leaving his entire estate to the son who outlives the other. A survival of the fittest where the winner takes all! Unfortunately, Darius' health is declining and he has been tempting his brother to sign a "deed of gift," in which they agree to divide the estate equally among their four children. Darius contacted a Mr. Underwood, an attorney and close friend of Inspector Kane, to draw up the deed, but his reticent brother is not the only problem that's bothering him. Someone has been dipping his pilfering fingers into his money strong box and asks his son-in-law, Whitney Adams, how to catch this thief. On the same day Darius decides to tackle these problems, the butler announces a visitor for Adams, but when he goes to the drawing room to see who wanted him there was nobody there – shortly followed by the first of two murders in this book. Carolus is shot to death in the dining room and the butler witnessed the shooting, but he's also the only person who has actually seen this homicidal visitor. And this would be repeated later on in the story. Inspector Norton Kane observes that there's "a distinct element of time in this case" as if "something necessitated Mr. Angell's immediate death." He has to unsnarl such tangled clues as a fabricated track of (timed) footprints in the snow, outside of the mansion, as well as the theft of the deed of gift, but he also has to prevent Darius from signing over half of the estate to his cousins. Darius is determined, now that he has outlived his brother, to keep true to his original intentions and make sure they did not lost out on an inheritance now that their father was murdered. I think he was perhaps the only genuinely good, if flawed, soul residing in that austere mansion. And that makes his murder somewhat tragic. Darius rolled his wheelchair into the elevator on the third floor and pushed the button, but when arrived at the bottom, where people were waiting for him, the doors remained closed and they had to pried open – which when they found him with a stab wound in the neck. The elevator cannot descend, or rise, when any of the doors of the three floors are open and the trapdoor in the ceiling opens on a thick carpet of unbroken dust. The elevator went straight down from the third floor without stopping and there wasn't even room in the elevator, entirely filled by the wheelchair, for a second person, but, somehow, someone still managed to murder the old man. Kane and Underwood do some pleasant theorizing as they eliminate the possibilities, one by one, before Kane eventually hits upon the solution. A solution that's pretty original and makes good use of the crime-scene, but it should be mentioned that this trick probably only works with a victim who has a very frail constitution. After all, the medical examiner mentioned that the blow was a weak one. So this particularly method would probably have only wounded Carolus. Funnily enough, there were certain elements of this impossible murder that recalled a locked room trick from a novel that me and "JJ," of The Invisible Event, have a fondness for. The locked room situations and solutions are very different, but they share certain, uhm, principles that helped create the illusion of an impossible murder. 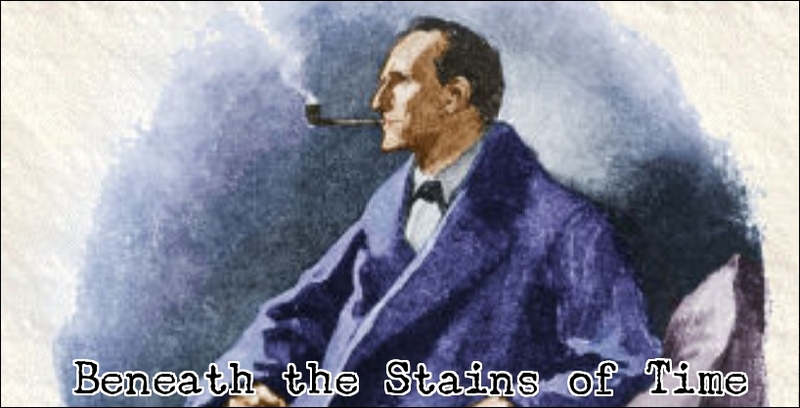 However, the most impressive aspect of Murder Among the Angells is not the identity of the murderer or the impossible stabbing inside a moving elevator, but the clever treatment of the ingenious, double-edged motive. You would think this was merely a homage to the S.S. van Dine-style detective novel from the 1920s, in which murders are committed in gloomy mansions in order to secure a large sum of money, but you'll be sorely mistaken. The motive here cuts on two sides and provided a shrewd answer explaining why the brothers had to die in that specific order. An explanation that is far more satisfying than if the murders had been committed merely to secure the estate. The motive is the linchpin beautifully linking the who-and how together, which helped lift Murder Among the Angells above an average mansion murder story. Long story short, I really liked my first encounter with Scarlett, Kane and Underwood. I tell you, it's long-lost gems like this one that remind me why I love detective stories. So you can look forward to reviews of the remaining titles in the not so distant future, because these former rarities aren't going to be permanent residents of my TBR-pile. So only seven days into the New Year and already have an entry for my 2018 best-of list! Attempt 2 at commenting - BlogSpot really seems to have something against me trying to use my pseudonym. Thanks for bringing this one to my attention. The Coachwhip titles aren't desperately cheap over here but I'll put it on the wish list. Your comment came through! I've a similar problem with Wordpress, which standardly queues my comments for approval and nobody knows why. Anyway, I hope you'll enjoy this one as much as I have and look forward to your take on The Stingaree Murders. Sounds wonderful! I have the Coachwhip edition of the first two Scarlett books ready to go on my shelves, so I'll try those before diving into this one, but very exciting to learn there's some impossibility ahead of them that you rate. You might like to know that the first one, The Beacon Hill Murders, is a locked room novel. Adey lists it as a murder in a room under police guard. So that should be good. And I wonder if you can figure out which locked room mystery I was alluding to. I'll be honest, I'm trying not to figure out which book you might be referring to so that I can come to this completely pure -- it sounds great, and I don't want to pre-prejudice myself. We'll have to recommence this discussion once I've read it (man, assuming we remember...). Oh, I'll remember! Don't worry about that. I think they all have miraculous elements in some degree. I don't give the kind of detail TomCat does on those matters, but Blair and Page clearly were intrigued by Queenian and Carrian and Dineian aspects to mystery. I think the two in the second volume are the two best ones, but it's a matter of taste, of course. I'm glad you went into detail on the Japan connection, I found that really interesting when I was writing about the books, how these books struck more of a long-term chord there than in western countries. "...Blair and Page clearly were intrigued by Queenian and Carrian and Dineian aspects to mystery." You know, Scarlett might also end up as my discovery of 2018, because what's not to like about that? Cat's Paw is going to be the next one on my list. I don't know what exactly struck that chord with Japanese readers, but, from my limited reading of Japanese mysteries, I guess what caught their fascination is the movement of the characters in the L-shaped mansion with the elevator as its only connection. Japanese mystery writers seem to like to move their characters around, even when they're stuck on an island (see The Moai Island Puzzle), which can also be found in such manga and anime detectives like Case Closed, The Kindaichi Case Files (see The Prison Prep School Murder Case) and Detective Academy Q (see The Kamikakushi Village Murder Case). So combine that with their love for bizarre architecture and locked rooms and you can understand why Scarlett made a splash in Japan. Glad you finally got to read it! 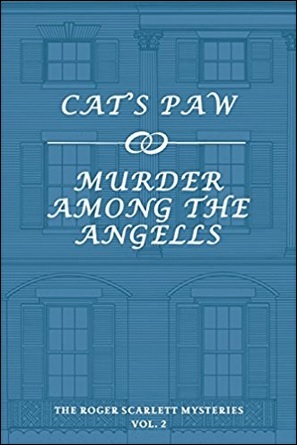 I posted reviews of the other four Scarlett novels the last two months and while Angells is definitely the MVP of the line-up, I enjoyed Cat's Paw a lot too, as well as In The First Degree (which is a bit smaller in scale though). The first two are very Van Dine-ish, and kinda similiar, so you might not want to read them back to back. Ah, yes. My seething jealousy has completely subsided. And thanks for the heads up about the first two. I'll squeeze In the First Degree between and tackle Cat's Paw next. I have read your reviews and wanted to a separate blog-post answering your question whether some of us considered the locked room as the pinnacle of the detective story, but I didn't get any further than a simple "yes." I hadn't realized Ho-Long had posted additional Scarlett reviews, will have to check that out! My story on Scarlett is that I had not even heard of him until I found a couple of their books on eBay. I became very intrigued, but the only thing new pieces I found written about him were on Asian blogs. Fortunately there were translations! For the benefit of anyone reading this, you can read Ho-Ling's reviews here. It is interesting to note which Western authors the Japanese pick up on which remain influential in Japan but went into periods of obscurity here: Emil Gaboriau, Maurice Leblanc, Freeman Wills Crofts. And in science fiction Daniel Keyes. Someone more knowledgeable than I should write up an article on this. I know what you're getting at and this may come across as nitpicking, but did Gaboriau and Leblanc actually experience periods of obscurity in their native France? Someone should correct me if I'm wrong, but haven't those two always been in print over there? "Here" means the English-speaking countries. I don't know what was going on in France. In English-speaking countries they became quite obscure for a long time although things are looking up for them recently, especially Crofts. Some of Keyes' last novels were printed only in Japanese and never in his native English. Ho-Ling just had another example of a book obscure in its native English but very well known in Japan: Eden Phillpotts with The Red Redmaynes, which is not a bad book.